You can certainly do the same in the other Quezon of the country, not Quezon City but in Quezon province. Down south, passed Batangas and just before you reach Bicol. Quezon is another underrated location in the country, it is not highlighted because it does not have white sand beaches but the province has the fair amount of beautiful getaways from beaches down low and breathtaking peaks up above. Bubbles Crispy Pata for meat especially pork lovers that just love crispy pata and Mang Tomas, the restaurant is in Ocean Place Mall, Lucena City, Quezon Province, just by the tip of the South Luzon Expressway or SLEX or you can go to their main branch in Candelaria, Quezon Province that has been in business for almost over 30 years. 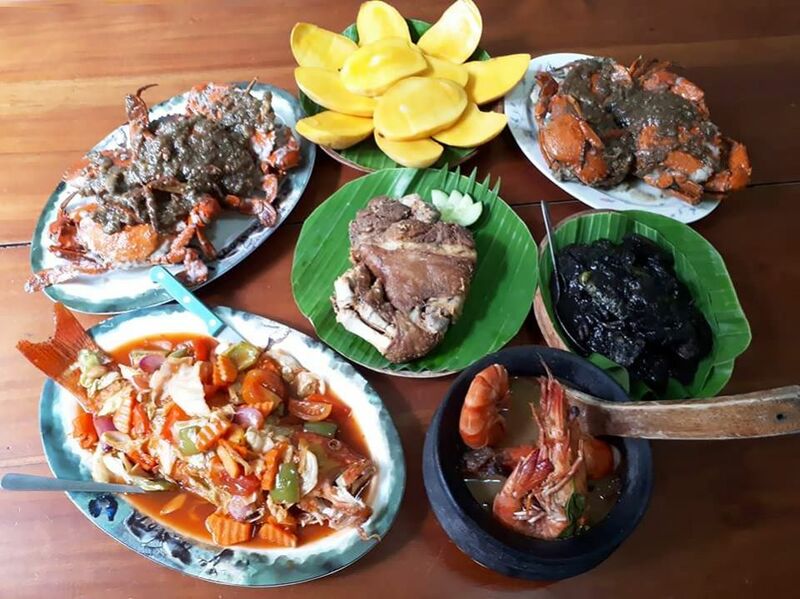 The place can accommodate numbers of customers aside from pork delicacies Bubbles also over some seafood such as crispy pusit (fried calamari), shrimp camaron, sinigang na sugpo (prawns), and sinigang na tanigue. All of which are served in a native fashion, banana leaves over wooden plates to enjoy the local food better. Ana Belai Restaurant if you are after for Instagrammable photos, Ana Belai will provide you lots of foodporn options. Not only is their menu so satisfyingly wide that would give you many options as to what to eat but also the ambiance and vibe of the place is also Instagram worthy. The restaurant is open every day from Mondays to Sunday, 10am to 9pm. 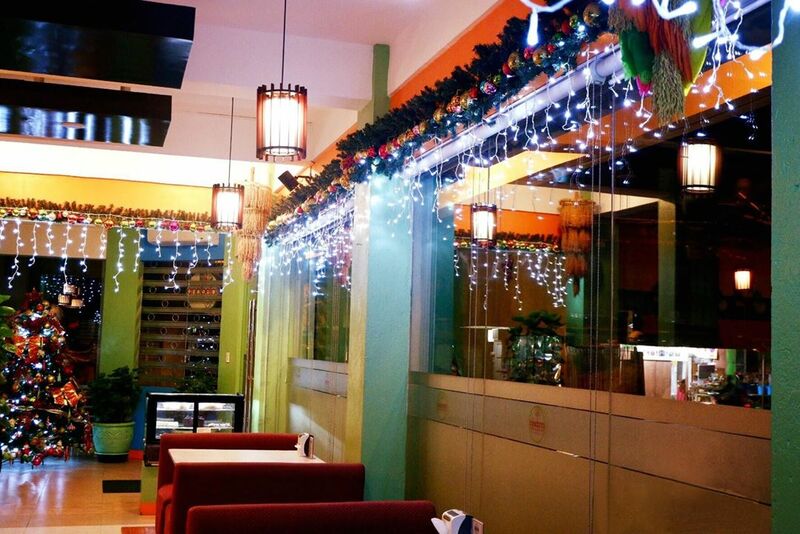 Ana Belai throws an annual buffet every November 11th to celebrate their anniversary. Also do not forget to try out their pastries and the coffee wonders that they serve, they are just the best. Silangang Nayon Park and Restaurant is a restaurant by the bay, literally by the seawater of Tayabas Bay. 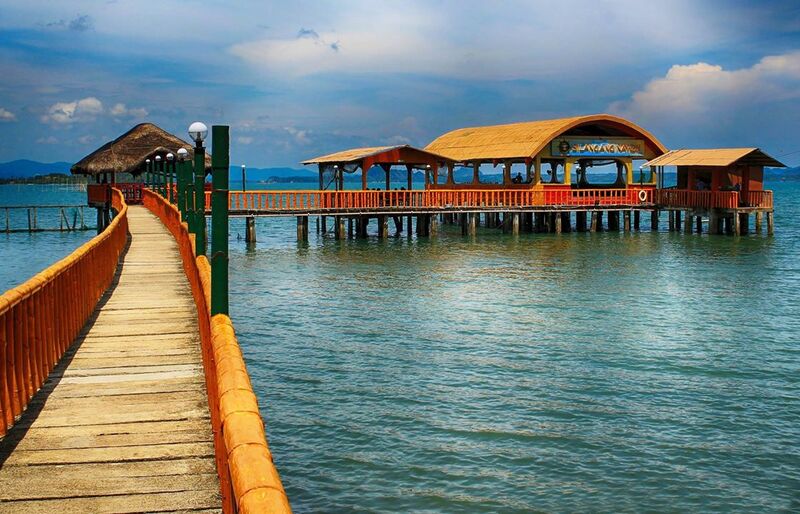 This is a popular stop spot in Pagbilao, Quezon. The menu varies from local cuisines such as chickens, oysters (fresh from the sea), and scallops. 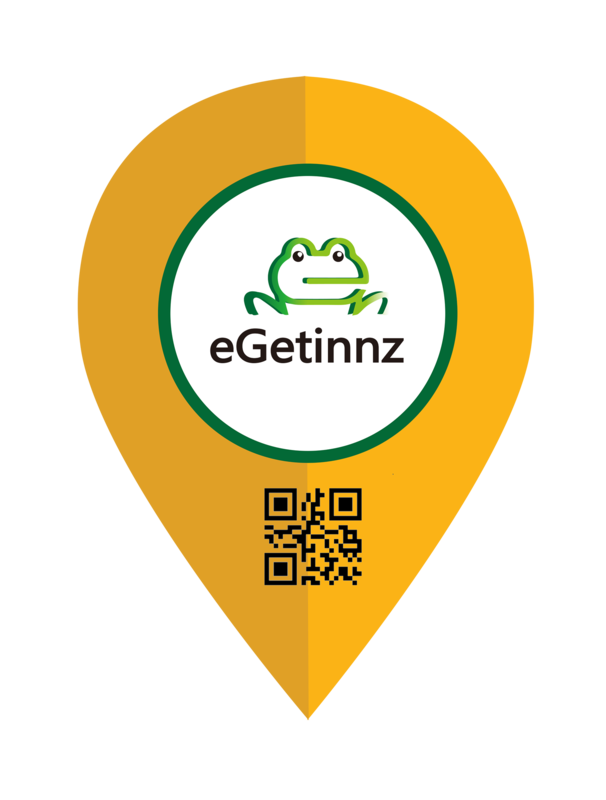 The price for their dishes are very affordable and atop of everything Silangang Nayon offers rooms to stay at and as for the kids there is a mini zoo inside the place. The view would be enough for everyone to be longing to come back here. Villa Escudero Waterfalls Restaurant famously known for its dining hall by the foot of a falls. Its name would not disappoint. 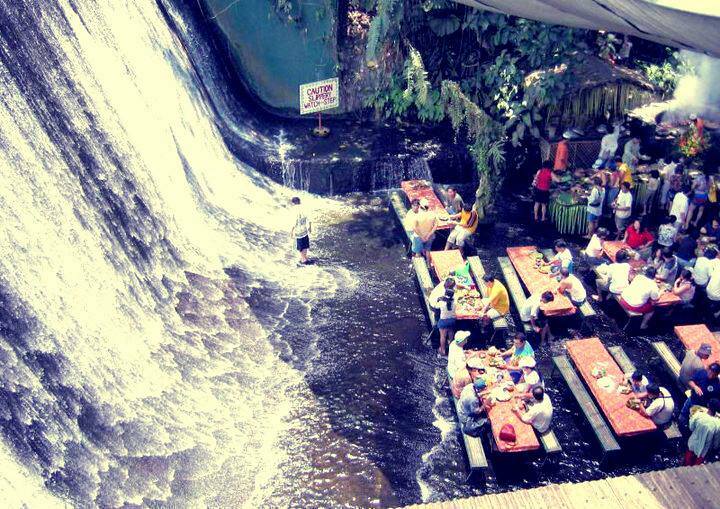 This place is perfect especially in summer, eating after swimming would not be any problem because in Villa Escudero, the two can go hand in hand. The villa promotes the Filipino culture at its finest, located in Tiaong Quezon this wonder is run by the generations of the same family since 1900s. Quezon is low-key good for people who want to go to retreat, or just disconnect from the advent of technology in the Metro Manila and find inner peace. Also in Pagbilao, Quezon, the Kamay Ni Hesus Church that was established in 2002 is widely claimed as a healing church. All folks of life who endures any kind of pain visit the church hoping to make the pain go away. 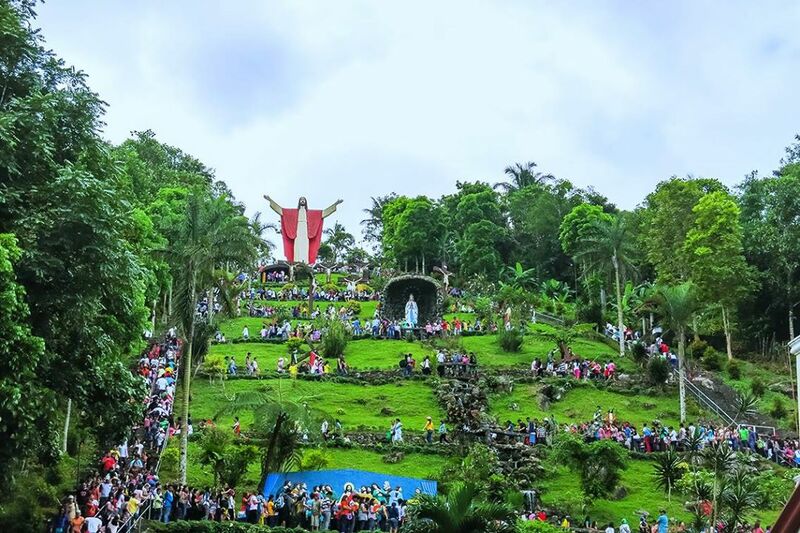 There are other establishments with the church as well, there is the Noah’s Ark (a tiney-tiny version of the ark compare to the real one), a family park (good for strolling), and there is the grotto steps leading to the famous mark of the place the Kamay ni Hesus statue overlooking the whole hill. It is basically Rio de Janeiro in the country. 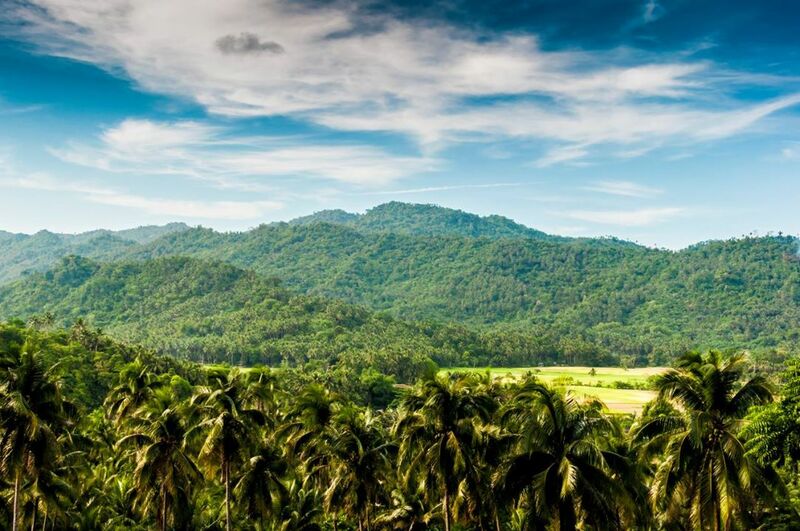 If Zambales has mountain ridges, Quezon is at the southern tip of the longest mountain range in the country–the Sierra Madre. The difference Quezon could offer for climbers would be the Sierra Madre’s ungraceful end. 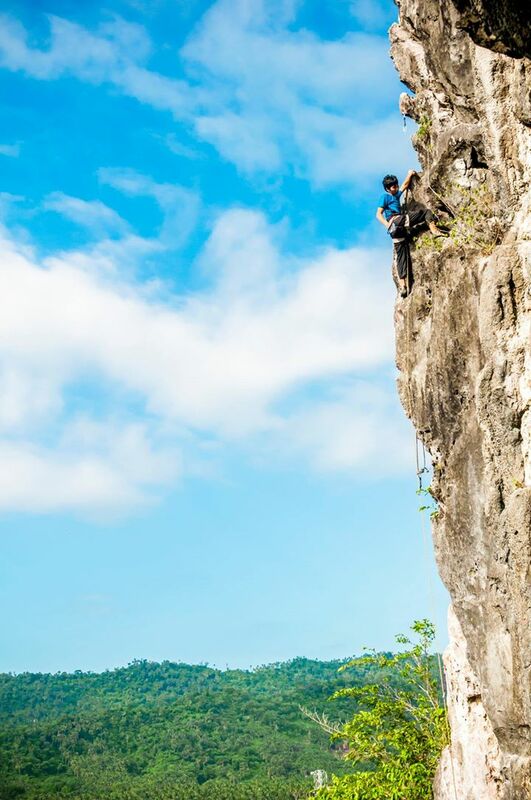 The rocks and cliffs to climb are more challenging, Quezon is more for the rock climbers than mountain climbers. It is not Mayon Volcano that is in the province of Camarines Sur, it is actually Mount Isarog. Only a few people outside the province know the mountain, the highlight always goes to the perfect coned shape volcano in the opposite side of the region. The very reason why Isarog is a very well preserved natural habitat, nobody gives the mountain that much of attention. Hikers perhaps are magnetized by the giant, more than 2,000m above sea level, it is the highest peak in the whole Bicol Region. It is so vast that it stretches from Naga City to the town of Goa, Camarines Sur which is more than 20km away from the capital city. The mountain has a wide opening crater but its last eruption was dated back in 1915-1916. It is called Vulcan de Agua by locals. Some stories say it is because it is not molten rock which is inside the mountain but water, a lot feared the story that once the mountain decides to wake up from its slumber and explodes that whole lot of Camarines Sur will be wiped out from the map. However, science likes to debate as always, claiming that it is rather impossible for one landform to contain water from within and cleared the myth behind the ‘Water Volcano’. 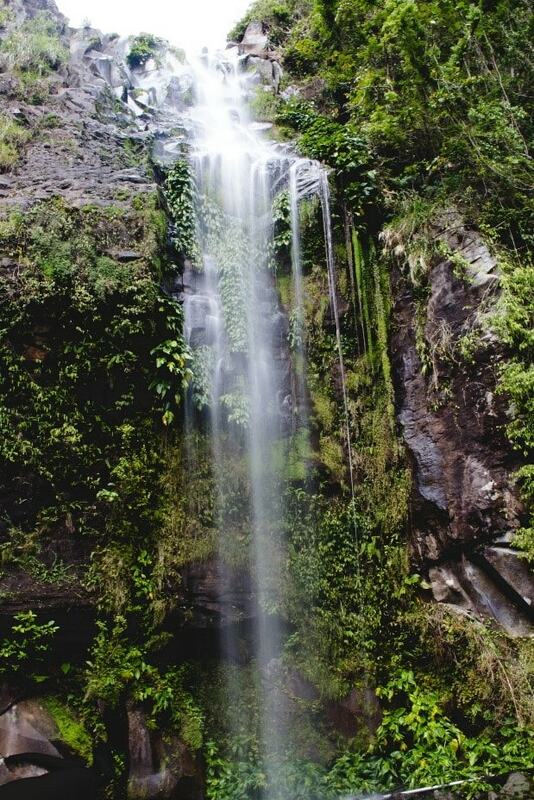 Isarog is dubbed as Vulcan de Agua because of its lush rainforest and countless waterfalls of which only three are known: Malabsay & Nabuntalan falls, in Naga and Consocep falls in the town of Tigaon. Isarog also harbors a myriad of species in its forests: the Isarog Shrew Mouse, the Isarpg Stripes Shrew Mouse, Isarog Shrew Rat, and Isolated Forest Frog. There are also 143 species of birds. 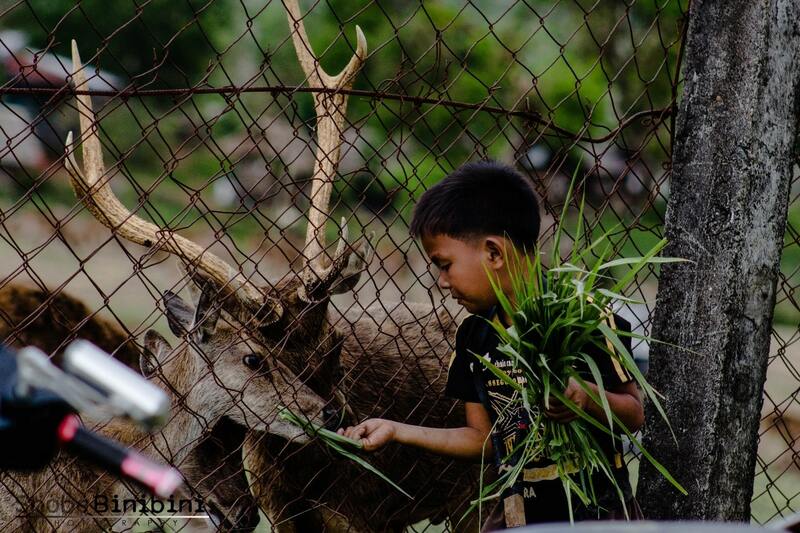 While the mammals inhabiting the forest among many are the Philippine deer, monkeys, bats, wildcats, and wild pigs. The best treat of nature is the giant Rafflesia can also be found in Isarog. Let us talk about views. People climb for the breathtaking views. Being the grandfather of all mountains in the region, stand atop the Isarog and you will get the perfect sight of the valley. Yes, this part of Bicol is a valley, mountains face across far from each other and the plain in the middle became the center of civilization. Mayon volcano can be seen from Camarines Sur to Albay, also Mount Iriga as well. From Naga city, the mountain stand in the east, it casts a dark but alluring shadow to the city that gets the touch of the sun a little too late in the morning. From the other side of the province however, say in the town of Tigaon and Goa, Camarines Sur, the mountain shines like a marble. The sunrays illuminate the rocks, the forest and even the Consocep falls (whose waters are dauntingly cold, you can stock up beers and sodas on its waters) is visible as a streak of white down the mountain because of the sun. Isarog wake up like a princess with the sun but when it rains it can sometimes hide in the rain fog. The easiest trail to conquer the sleeping giant is located at Naga City, it can take from 8 hours to 14 hours on a good day. There is also a trail in Goa, Camarines Sur that leads directly to the open mouth of Isarog. Trekkers take this long trail that can last up to four days because they get to hike on the very rim of the crater to the top. A few unknown trails can lead to the peak as well, adventurous local youngsters climb the mountain on their own desired path, making their own trail however for safety purposes only climb with the mountain guides appointed by the local government unit themselves. Camping in the forest can quite be dangerous only those who have the enough survival skills and kit are allowed to spend the night. Tourists always think of island hopping immediately after the mention of Camarines Sur and they are referring to the Caramoan group of Islands which has been the site of several season of the reality competitive show Survivor. Camarines Sur is more than just Caramoan and the Camarines Sur Water Complex (CWC), a manmade surfing turf and sport water activities. 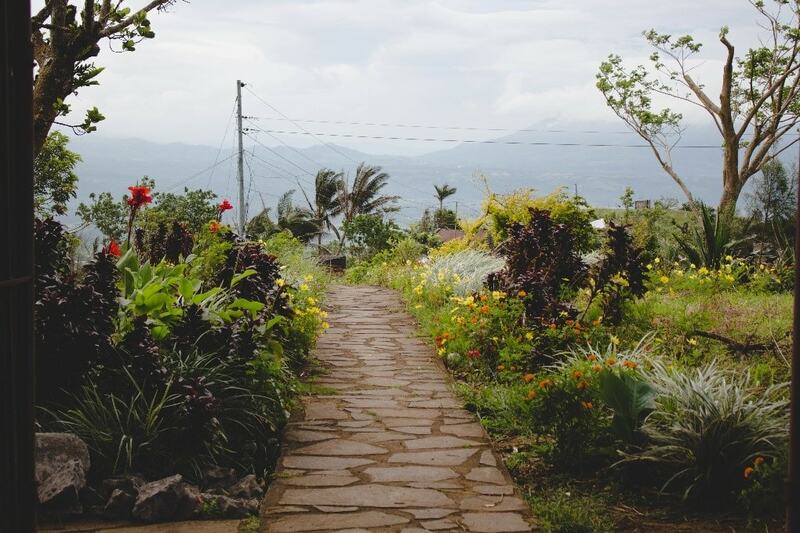 Mount Isarog is one mountain filled with multiple adventure activities; hiking, camping, and swimming combined. All of which are hard to come by nowadays. A vacation package to the Philippines isn’t enough if it’s going to be a trip to Boracay. You’re going to need to go for longer durations of vacation rentals if you want the best beach party scene and, at the same time, relaxingly iconic island vibe the Philippines has to offer. 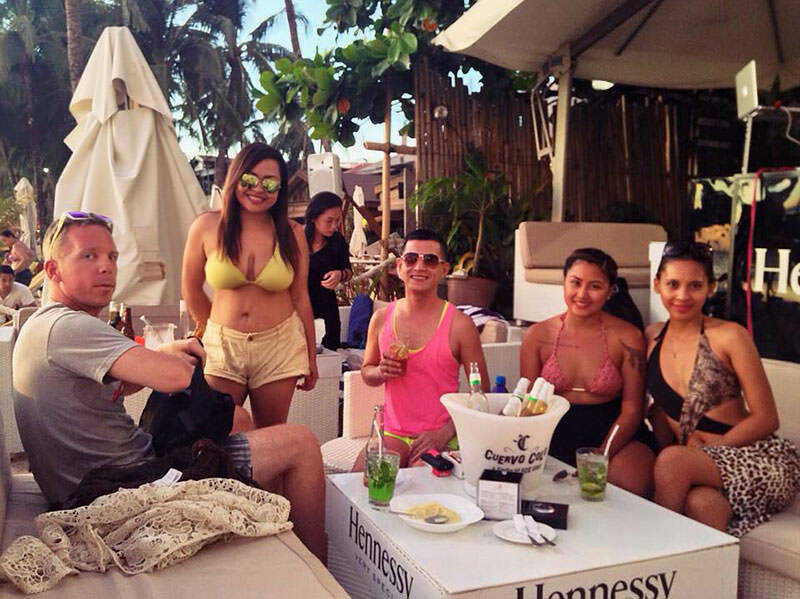 Boracay, in recent years, has garnered mixed receptions from both the local and foreign tourist. The biggest beef that it has is how commercialism has consumed what was once a virginal strip of untainted paradise. Even with the reputation, Boracay is still constantly flocked by people year in and year out which, we’ll guess, is what majorly makes up its new found appeal: it’s the island equivalent of Facebook or Twitter. Boracay is an island just off the coast of Kalibo, within the province of Aklan. To get there, you will need to fly from Manila (Ninoy Aquino International Airport) to Kalibo airport and then take a boat ride to the island. 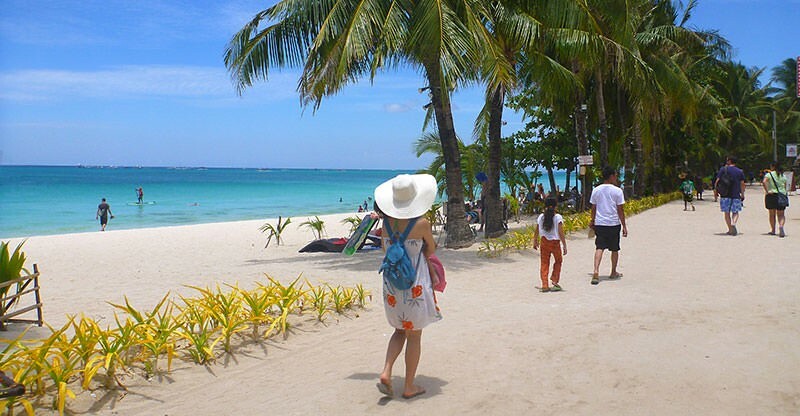 The Philippines is such a foreigner friendly country and a short term rental is a great option to go for when availing for accommodations in Boracay. Not only are Filipinos very friendly towards none nationals, the accommodations are budget friendly as well especially for short- and long-term transience. Some hotels could go for as much as 6,000 Philippines Pesos (PhP) a day but a short term rental place might only cost around 14,000PhP a month, and that’s for the nicer places nearer the shore. They go lower the further from the shore a place is. But why go for short term rentals? Because it’s hard to completely appreciate Boracay for very short stays. 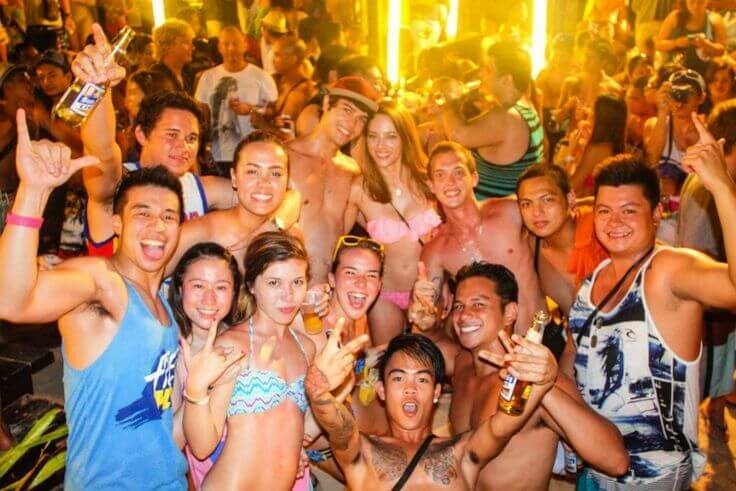 A trip of 3 days and 2 nights would be enough to get your party on (because the party scene is very “lit” in Boracay, if we may say so ourselves) and do some water activities like kite surfing or island hopping but you will need more time to be able to also enjoy the local culture, most of the other islands and secret beaches, and good Filipino company. Boracay might be a great place to retire. It isn’t jam-packed throughout the year so you still get to enjoy the laidback seaside experience that the island was once known for. Not to mention, you can choose which of its 12 beautiful beaches to crash depending on your mood. If you have a budget of less than 2,000 USD per month, you can live quite a comfortable & luxurious life in Boracay (generally, most vacation rentals in the Philippines might cost somewhere around 200 USD per month, more if closer to major cities like Manila or Cebu). If you aren’t going to the Philippines for vacation packages and are looking for something along the lines of “permanent stay”, the Philippine government offers special considerations for retirees through the Special Resident Retiree’s Visa or SRRV. You can read more about it here. They also, since 2015, have opened their government subsidized health care system to foreigners. The Philippine Health Insurance Corporation (PhilHealth) accepts and provides health care benefits to expatriates living in the Philippines for long periods or permanently—the coverage could take of as much as 80% which is especially helpful if you get hospitalized. Not to mention, the Veterans Memorial Hospital (albeit only has their main facility in Manila) also provides veterans with medical services. Whether for vacation rentals or permanent stay in the Philippines, Boracay should be one consideration on your mind. It has familiar Western comforts but even behind the massive parties and consumerism, it also retains its friendly Filipino culture of hospitality and camaraderie.